ASSR - Batch 3 On Its Way! Batch 3 On Its Way! Dateline: April 6th 2010. Santa Cruz: The third batch of Sections, totaling almost 21/2 hours of brand new material from the ASSR series, will be released online week ending April 9th 2010. A complex subject, and one frequently misunderstood and much argued about. Alan defines terms, explains parameters, provides instrument-by-instrument examples, and then explains the consequences. Universal Audio’s Bill Putnam Jr. is interviewed, plus there are wonderful insights into use and misuse from Steve Marcantonio, Niko Bolas, John Fields, and Allen Sides. During one filming session in Los Angeles Alan is alerted to the whereabouts of the mixing board that he’d used when working with McCartney, Pink Floyd, and others at Abbey Road. After this emotional opening (he’d not set eyes on the board for more than thirty years) Alan examines conventional modern consoles, looking at each item on a typical channel strip in detail. Finally Alan assesses how they – and their cousin, the controller – relate to and can enhance the experience of using a DAW. This section traces the history and progress in artificial reverb technology, then takes a parameter-by-parameter look at digital reverb settings, hardware and software reverb products, and application of reverb to individual instruments and entire mixes. Interview clips from Elliot Scheiner, John Shanks, and others complete this highly revealing section. A common recording conundrum is examined: How do you record both an acoustic guitar and a vocal simultaneously without one bleeding into the other? 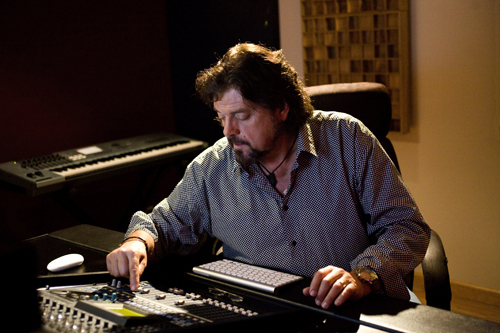 Alan Parsons discovers a new artist Matt Lucca – who would, subsequent to this session, go on to record an entire CD with Foo Fighters’ Rami Jaffee, and Paul McCartney’s Abe Laborial Jr., and Rusty Anderson – and explores the what to dos and what not to dos of this classic recording situation. The mix is where the rubber hits the road for any recording. Conducted primarily at LA’s Record One studios, where Michael Jackson’s last three albums were recorded and mixed, Alan takes us through every stage of a mix from preparation to delivery media in this fascinating and extensive section. 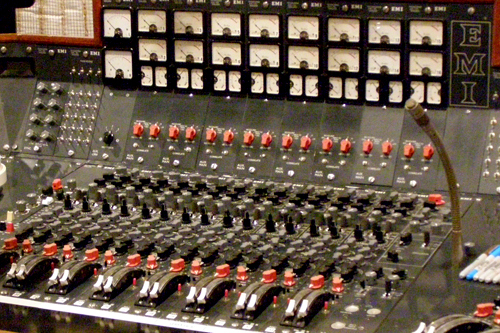 Good working practices (consolidation, track sheets, notes and more) are proposed, along with the chance to see so many of the program’s previous technical sections – EQ, reverb, digital audio and computers – come to life. A variety of mixing settings, from working with an analog console to wholly “in the box” are shown and discussed in this substantial section – which is now being offered in two parts online. This is the penultimate batch of Sections from The Art & Science Of Sound Recording, a landmark series presented and produced by Alan Parsons. This batch of videos offers yet another fascinating insight into the world of recording from a man who honed his skills at Abbey Road – the crucible of modern recording technology - as it developed in the 1960s. Supported by extensive musical examples, custom diagrams, and interview clips, The Art & Science of Sound Recording takes a classic approach to recording and listening - followed by informed experimentation – and shows how this approach can live in the modern DAW-based environment. These are scenes that you can watch over and over again, and still enjoy nuances. Those who have already pre-ordered or wish to pre-order the physical DVD at 30% off the regular price can simply go to their My Purchases and find the new sections as soon as this release is live. The Alan Parsons’ ASSR Team.